Why do fewer car accident cases go to trial in Toronto? 99% of motor vehicle cases settle outside of Toronto’s Courtrooms. Just 1% of those cases actually go to trial. Trials have essentially gone the way of the Dodo (pronounced Dough Dough). 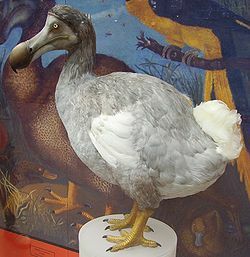 Have you even heard of the Dodo Bird? Probably not. They’ve been extinct for many years. 1. Mediation and other alternative dispute resolution methods have fostered more out of Court settlements. 2. Trials are expensive and very time consuming. Some car accident cases can take months to go through by the time all of the medical evidence is compiled. 3. Courts have fewer resources to hear your case. It’s true. Courts are not funded to the same proportional level as they used to be. In the 60’s, there were enough Judges to hear the volume of cases around for that time. The populations around Toronto, London, Peterborough and other parts of Ontario has grown dramatically. This has seen an influx of injury cases to the Courtrooms. This has also created an influx of other cases, such as criminal, family, construction, estates, business and other disputes which need to be heard by a Judge or Master. The fact is, that car accident cases are put to the bottom of these lists. As a result, some cases take years and years to be heard. If you were to set down your motor vehicle accident case today, and request a trial date from the Court, the reality is that your case would not see the inside of a Courtroom for around 4-5 years! WIth provincial budget strains constantly looming in Ontario, it’s no wonder that brain injured accident victims have to wait so long for their trial date. 4. The risk of going to trial in some cases outweighs the benefit of settling out of Court. Insurance companies and plaintiffs alike across Ontario have come to realize this more and more. Particularly given the increased financial cost of going to trial. Expert reports, paying attendance fees, visual evidence and the lawyers time for the insurance companies don’t come cheap. Car accident victims, insurance companies and their lawyers alike have appreciated this risk more and more given the increase costs associated with trial. So, what happens if your case actually does go to trial? Firstly, the Jury is picked and they aren’t happy to be there. They’d rather be doing a million other things rather than having to sit inside a stuffy Courtroom and listen to your case. They aren’t getting paid very well for their service, and they are likely missing out from time for work. It should also come to no surprise of a Plaintiff if their case is supposed to be heard on a Monday, but can’t be heard until Thursday. This again speaks to the lack of judicial resources to hear accident cases. BUT, if you do get your day, or days in Court, you can expect that your case will be heard, one way or the other. And with any luck, and with some crafty skill from your lawyer, there will be closure to your personal injury case. For better or worse, your case, barring any sort of appeal, will be closed. And hopefully, justice will be served, and you can move on with your life and do your best to put the trauma from the car accident behind you. A trial gives people a sense of dignity, and a sense that they are being heard; because they are. Results cannot be guaranteed at trial. The process is inherently risky, and completely unpredictable. But what can be guaranteed is your day in Court.